Are E-Scooters Legal? Can I take them on the subway? What is an URB-E? On the surface, it is just another E-Vehicle. If you take a deeper look, however, the URB-E is the undeniable future of urban mobility. 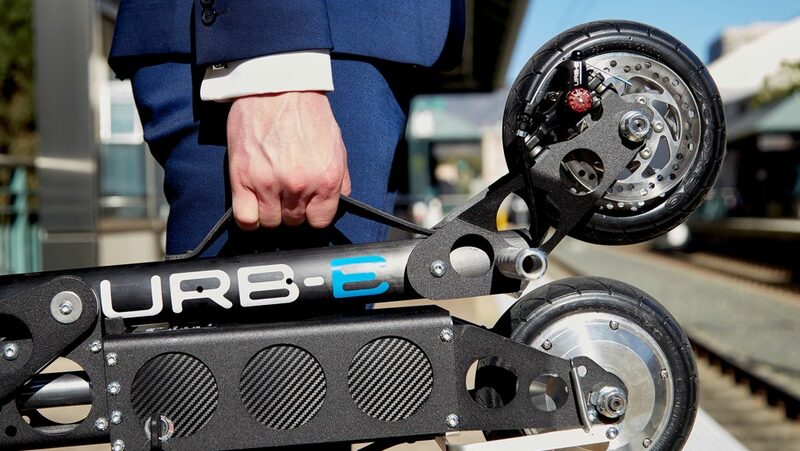 With up to 20 miles of battery life and 18 miles per hour of speed, the light-weight and foldable design of the URB-E transcends the way people can commute. As with any new mode of transportation, many people often ask us if there are any limitations on where they can take or ride their URB-E. According to the Department of Transportation, the URB-E is classified as a bike. Quite simply, that means you can ride your URB-E anywhere a bike can go, which includes bike paths, sidewalks, and streets. If you are under 18, you must wear a helmet while riding your URB-E. Many of our URB-E riders use their URB-E alongside public transportation to get to where they need to be. You can take your URB-E on the metro, subway, or bus. The ability to fold your URB-E allows you to place it conveniently under your seat and avoid taking up space from other people using public transportation. Worried about whether or not you are allowed to fly with your URB-E? No problem at all! The URB-E Sport’s battery, also knows as Eddy, is designed to be compliant with domestic and international flight safety rules. Additionally, under regulations IATA DGR 2.3.42.4 and 49CFR 175.10.17, you are allowed to take your URB-E on board of an airplane if you use it as a mobility aid. The URB-E is designed to make your life as convenient and comfortable as possible. There is no need to worry about where you can take or ride your URB-E because it has no limitations. Rid yourself of the frustrations that come along with other methods of transportation and take a step towards the future of urban mobility with URB-E.